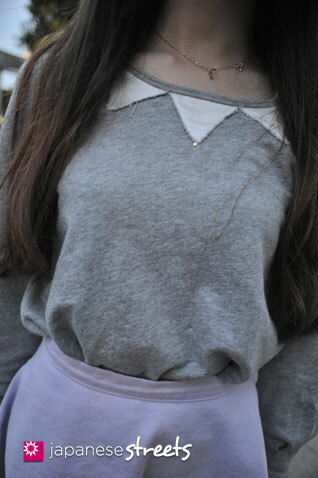 Love the shirt with the triangles. And her hair is so pretty! I always wanted to ask this. . . 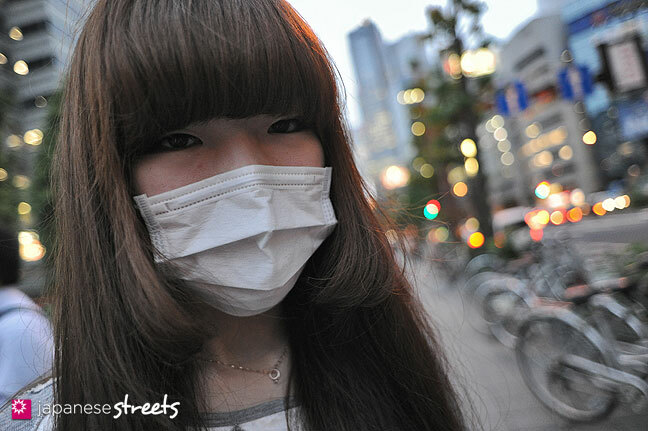 The surgical masks I see in a lot of Japan street fashion shots—is that a style item? Or are there some kinds of polite (or health) concerns behind wearing them? 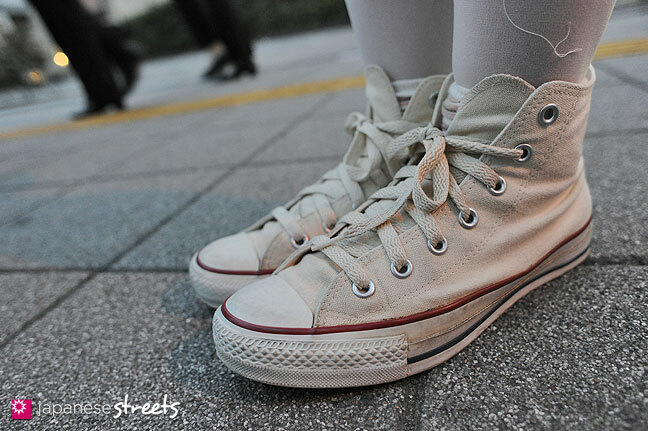 @GwenMyst: As far as i know they wear them because of the pollen,when they’re sick, even if its just a slight cold, and some I guess for fashion. @GnewMyst & Nyurah: There are several reasons to wear masks. Most people wear them because they have a cold and don’t want to spread it to other people. Japanese usually are very considerate of the needs of others. Some people do indeed wear them because they have a pollen allergy. And recently an increasing number of people wear them as a fashion statement. That’s why more and more masks feature some kind of design. @Maria: Yup, and it somehow looks a little mystrious.